Hoxley & Porter is a stylish bar in Angel on the popular Upper Street stretch. 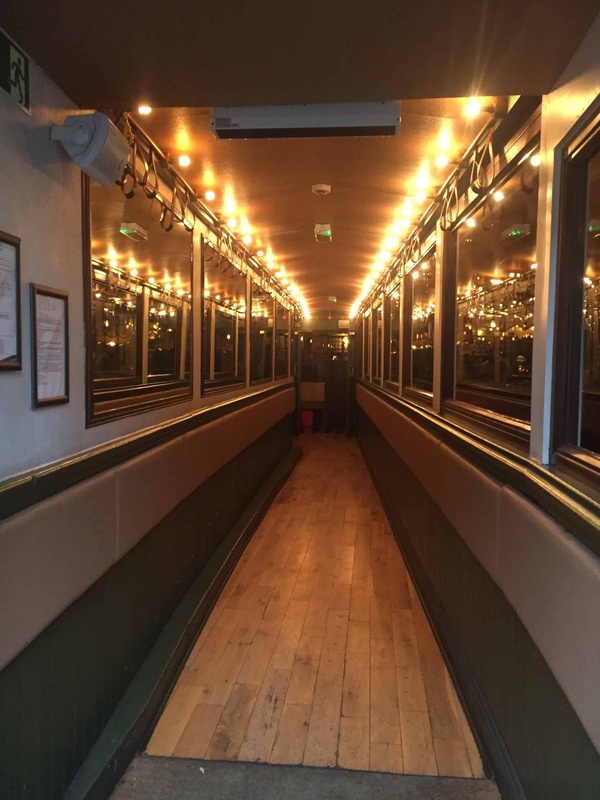 It has a cool entrance resembling a train carriage and a gorgeous interior, perfect for a date night. We started with some cocktails (obviously…) and opted for the Mediterranean Gimlet – Portobello Road gin, Roots Mastiha, lime and sparkling mint cordial and the Pit Stop Swizzle – tiki blend, mixed nut oregat, orange curaco, lime, ginger. 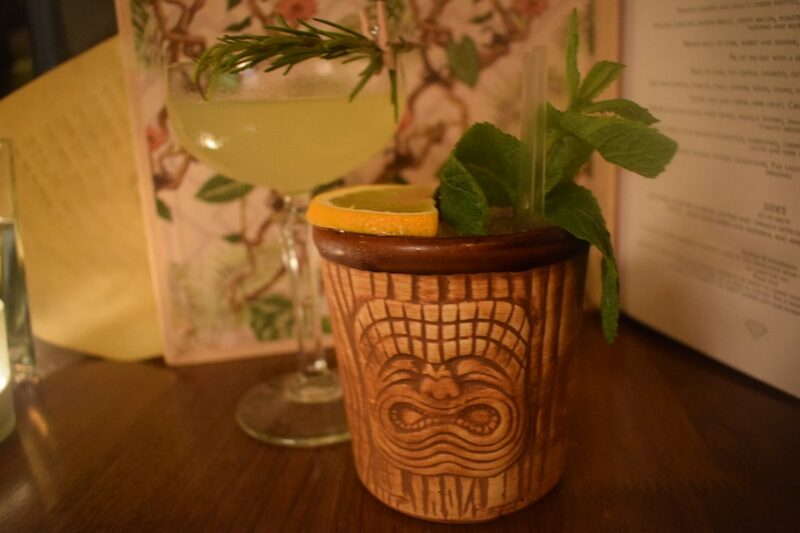 Both were delicious and well presented – who doesn’t like a tiki cup? Also look out for Apertivo Hour where selected drinks are £6 between 4-7pm including a Rose Negroni. 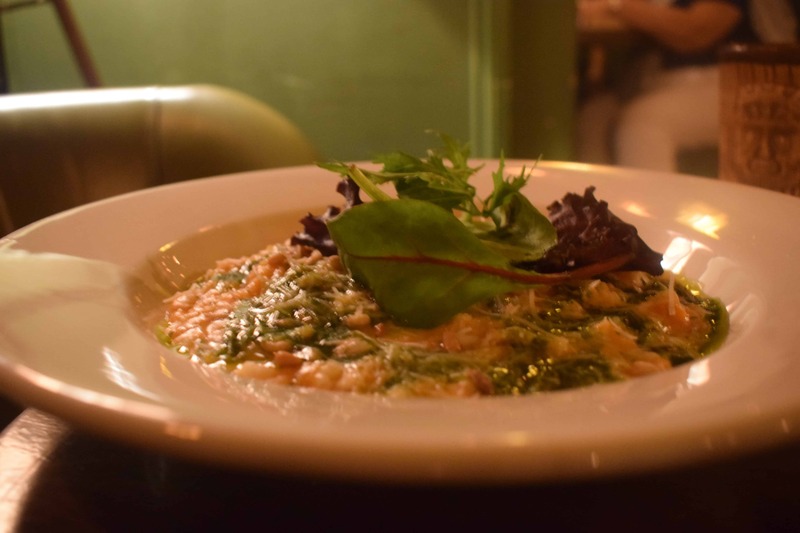 You can dine in the bar or restaurant area and the British inspried menu is kept simple. 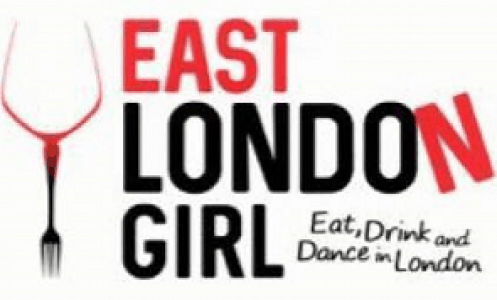 With all starters priced at £6, main courses at £13 and desserts £5, the menu is pretty good value! We shared the starter of Chorizo-Ham Croquettes, mature cheddar, potato, spring onions and aioli, which were amazing! For mains we had the Braised Belly of Pork, Bubble and Squeak, red wine jus, greens and apple sauce and the Roasted pumpkin and goat’s cheese risotto, parmesan, leaves pine nuts and basil pest. Both were decent sized portions and really tasty. We could not fit in dessert but I definitely would have gone for the sticky toffee pudding. Hoxley and Porter is a lovely bar in Angel serving great cocktails at reasonable prices. It is a perfect for a catch up with friends and, as I mentioned above, the mood lighting would work well for a date!